This week we interview Jamie Chatfield, coached by TDC Rory Spicer. We know that Jamie will inspire a lot of our readers with the determination and passion he shows for the sport. He is also a great example of what TDC is all about. Thank you, Jamie, for sharing your incredibly positive outlook with us all below. What initiated the beginnings of your tri adventure? – I’ve been running since the age of 9 with a few breaks due to college years and other distractions and also took up mountain biking about 25 years ago. Mountain biking morphed into road cycling and sportives a few years back but I felt they weren’t competitive enough. 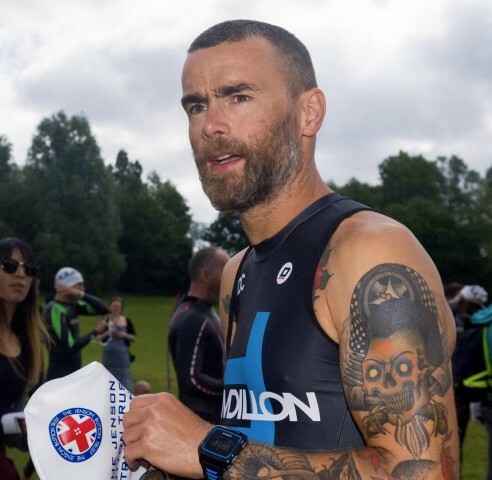 I came across a small local triathlon a couple of years ago which I entered but was very anxious about the swim being my weakest discipline but I won it and that was that – I was hooked! At the beginning of this year I joined a local tri club and they’ve really helped and encouraged me with my swimming. This has been further reinforced, supported and developed by Rory Spicer since joining TDC in March. Did You do any swim/cycle/running when you were younger? – I joined Banbury Harriers when I was 9 basically because my older brother had joined who was an amazing runner. My first race was at Cutteslowe Park in Oxford. Wearing my brand new spikes, a white vest and a pair of track suit trousers I set off in the U11 cross country race and won. As a runner in my formative years I never attained the success my brother did but I’ve always enjoyed competition and even more so now. How often do you train a week? – I have an amazing coach, Rory Spicer who always supplies a weekly training schedule for me which is built around work and family. I suppose in peak season I must train up to 2 sometimes 3 hrs a day reaching 12 – 15 hrs per week, 6 days a week. How does your training for around normal life and work? – Basically it’s a juggling act. I run my own business so if I’m honest this has suffered a little but training keeps me sane and a better work life balance is long overdue. I’ve always found hard exercise a great release of stress and missing sessions is not good for my own sanity. My wife and son are very understanding. They know how much training and racing means to me and are extremely tolerant of my prolonged absences at weekends and evenings. Whenever practicable, they will support my races but triathlons aren’t the greatest spectator sport! Having Rory as your coach must be great. How do you guys work together to ensure you get the most out of your programme? – Rory is so attentive to every part of my training. I feedback daily on every session I complete even the stretching. This in turn gets a reply via email further reinforced with other suggestions and support via text or phone. If I have concerns or any questions be it training, nutrition, physio or racing then we’ll speak on the phone and address the issues. 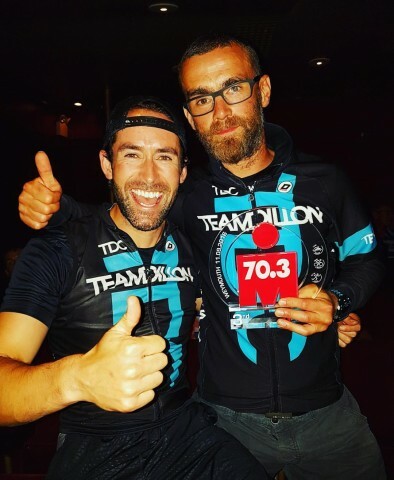 He’s brought me on from being a casual athlete with certain competitive aspirations to an athlete who’s focused on specific, disciplined training, who’s able to compete at the pointy end of my age group and achieve levels of success I could never have imagined when I first joined TDC 9 months ago. What is it that brought you to Team Dillon? – Having suffered a bad leg injury from a fall in September of last year, I was forced to rest for 6 months. During this time I gathered the determination to take my training to the next level. 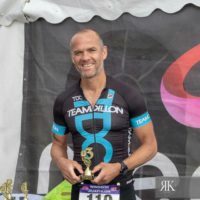 I’d achieved reasonable successes on my own at various events – The Jenson Button Tri, Blenheim Tri, Woburn Tri and various half marathons etc, etc. 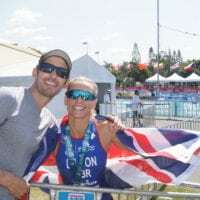 I joined the British Triathlon Federation and became aware of the Age Group phenomenon which I found so inspirational. So, I basically searched on the internet for triathlon coaches, came across TDC, emailed Michelle who replied immediately and joined up and 9 months later have never looked back. What races do you have lined up for next year? 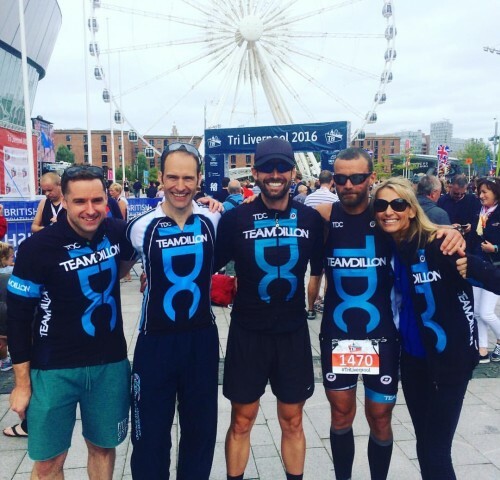 – I’ll certainly do my regular races – The JB Tri, Blenheim, Outlaw Half, maybe the Liverpool tri which I really enjoyed this year. I’ve also got the Ironman World Championships to look forward to but I’d also like to do another 70.3 Ironman event somewhere. How did you find this years season, which was your best result and why? 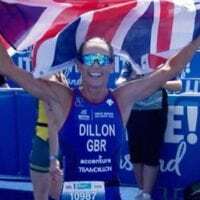 – This year I raced in the Ironman 70.3 in Weymouth. A friend convinced me to enter it but I really wasn’t sure about it. We did a race recce in thunderstorms, hail, sun and heat a few weeks before and to be honest, the prospect of the sea swim was extremely daunting having experienced terrible conditions on our recce. Cue race day, pancake flat sea and blue skies. The experience was amazing. 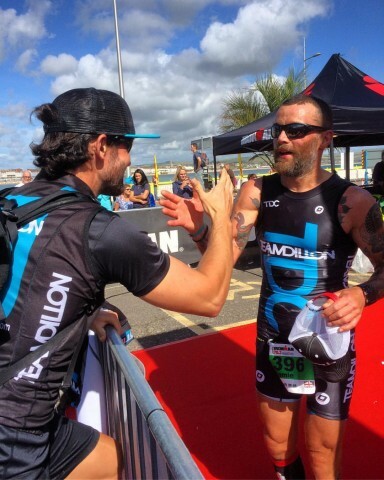 Rory and I had planned my race well and he’d trained we perfectly for my first 70.3 Ironman. My swim wasn’t great exiting in 386th but hauled it back on my bike to 76th and ran well to finish 51st overall. This put me 3rd in my AG giving me a qualification slot for the Ironman 70.3 World Champs next year in Tennessee. In terms of winter training plans with TDC, what do you have lined up? – Not yet discussed in detail but I hope to do a few half marathons, XC races and duathlons. 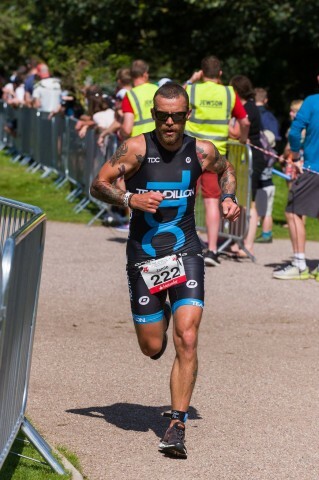 My first duathlon was last weekend in Bedford which was fast & furious but fun. 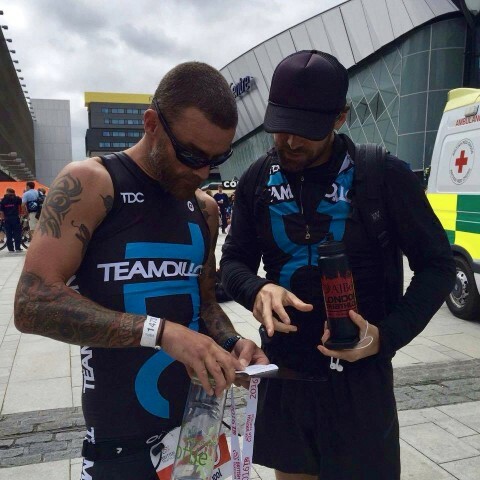 There was quiet a few of the team there so plenty of support from TDC athletes which was great! What piece of advice would you give people to get them out the door to train in the cold weather today? I don’t see bad weather or the cold as a deterrent. I think it adds another dimension to your training – something else to fight against which ultimately makes you stronger. However, the correct clothing is essential. Running or cycling when you’re soaked through to the skin and freezing cold is no fun at all. However, the feeling of well-being and exhilaration post bad weather winter training is awesome and something to soak up and enjoy – get out there! On behalf of the Team, thanks for reading! The long tough road back to racing! Michelle Dillon Wins World Sprint Age Group champs!